As it happens, Eve was unaware of the One Big Happy strip, with its recurrent focus on children dealing, as best they can, with unfamiliar expressions, using their own lexical knowledge and what they can glean from the context in which they hear new expressions. There’s a Page on this blog listing all my postings about the strip, but of course that includes a great many strips on topics other than children’s lexical knowledge. So I have promised Eve a retirement present: a complete set of my postings on Ruthie, Joe, James, and their lexical adventures. 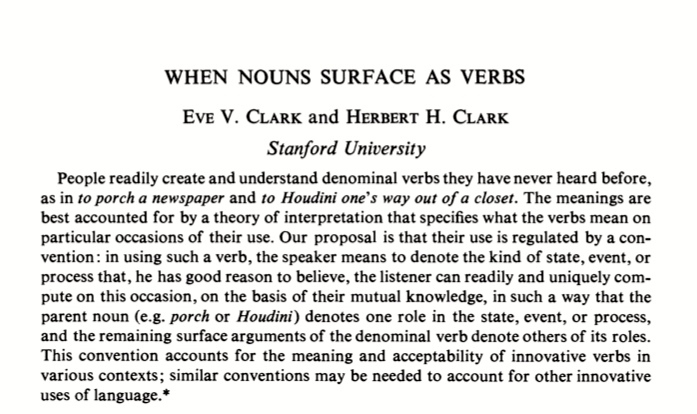 Eve V. Clark (born 26 July 1942) is a British-born American linguist. 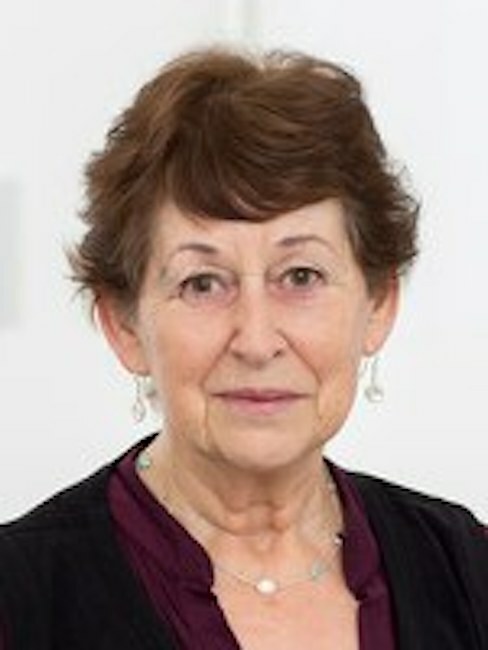 She earned her PhD in Linguistics in 1969, studying with John Lyons at the University of Edinburgh. She worked on the Language Universals Project at Stanford with Joseph Greenberg, and two years later, joined the Linguistics Department at Stanford University. She is currently the Richard Lyman Professor in the Humanities at Stanford. 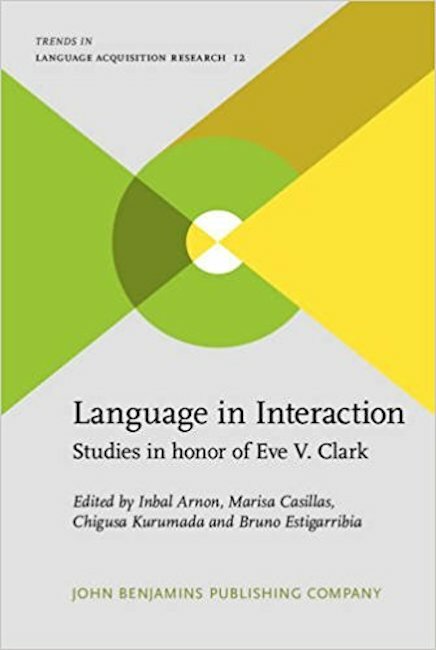 Clark’s research focuses on first language acquisition, especially the acquisition of meaning. She has done extensive observational and experimental research. She has also worked on the acquisition and use of word-formation, including comparative studies of English and Hebrew in children and adults. 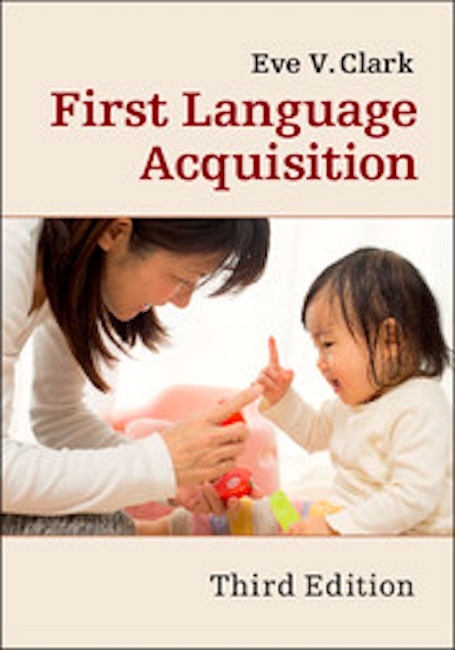 Some of her current studies examine what children can learn about conventional ways to say things based on adult responses to child errors during acquisition. She has [also] studied the pragmatics of coining words. 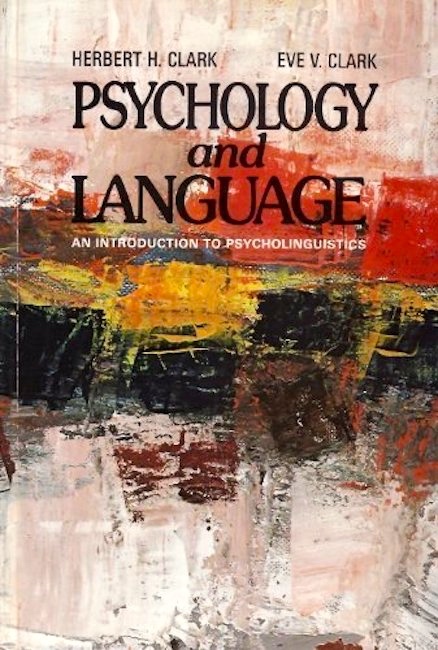 Back when they were at Carnegie-Mellon (before Stanford), Herb and Eve were sagely advised by Herb Simon to pick distinct areas of psycholinguistics to pursue their scholarship and research in. Eve picked children, Herb adults, and they published only two things together: #4 and #7. But of course each of them read and critiqued almost everything the other wrote, and they talked about their research essentially on a daily basis. As Herb remarked yesterday, this made it incredibly difficult for him to write his contribution to the Festschrift (#6) without tipping Eve off to the project; complex ruses were resorted to. Eve is celebrated as a teacher and mentor, and she also deserves recognition for enormous amounts of service to the linguistics profession (organizing Child Language Research Forums, services to the LSA and to granting agencies), Stanford (on university committees of all sorts, plus her work at Stanford’s Bing Nursery School), and our linguistics department (serving as chair and on virtually every department committee we have). This entry was posted on June 17, 2017 at 9:42 am and is filed under Ambiguity, Conversion, Language acquisition, Linguists, Stanford, Verbing. You can follow any responses to this entry through the RSS 2.0 feed. You can leave a response, or trackback from your own site.